Imagine if you woke up one day and couldn’t see. Your life would change drastically, and you would have to painfully relearn how to function in a world that heavily relies on sight. While most people don’t lose their sight overnight, many suffer from visual impairments that slowly happen over time. Glaucoma, cataracts, and macular degeneration are examples of debilitating eye diseases that eventually lead to blindness. With almost 300 million people world wide with some form of visual impairment, there’s urgency in the scientific community to develop safe therapies for clinical applications. One of the most promising strategies is using human induced pluripotent stem (iPS) cells derived from patients to generate cell types suitable for transplantation into the human eye. However, this task is more easily said than done. Safety, regulatory, and economical concerns make the process of translating iPS cell therapies from the bench into the clinic an enormous challenge worthy only of a true scientific champion. Meet Dr. Masayo Takahashi. She is a faculty member at the RIKEN Centre for Developmental Biology, a prominent female scientist in Japan, and a bona fide stem cell champion. Her mission is to cure diseases of blindness using iPS cell technology. Since the Nobel Prize-winning discovery of iPS cells by Dr. Shinya Yamanaka eight years ago, Dr. Takahashi has made fast work using this technology to generate specific cells from human iPS cells that can be transplanted into patients to treat an eye disease called macular degeneration. 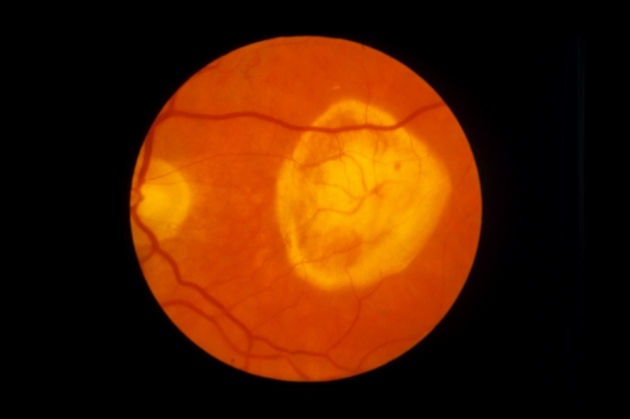 This disease results in the degeneration of the retina, an area in the back of the eye that receives light and translates the information to your brain to produce sight. Dr. Takahashi generates cells called retinal pigment epithelial (RPE) cells from human iPS cells that can replace lost or dying retinal cells when transplanted into patients with macular degeneration. What makes this therapy so exciting is that Dr. Takahashi’s iPS-derived RPE cells appear to be relatively safe and don’t cause an immune system reaction or cause tumors when transplanted into humans. 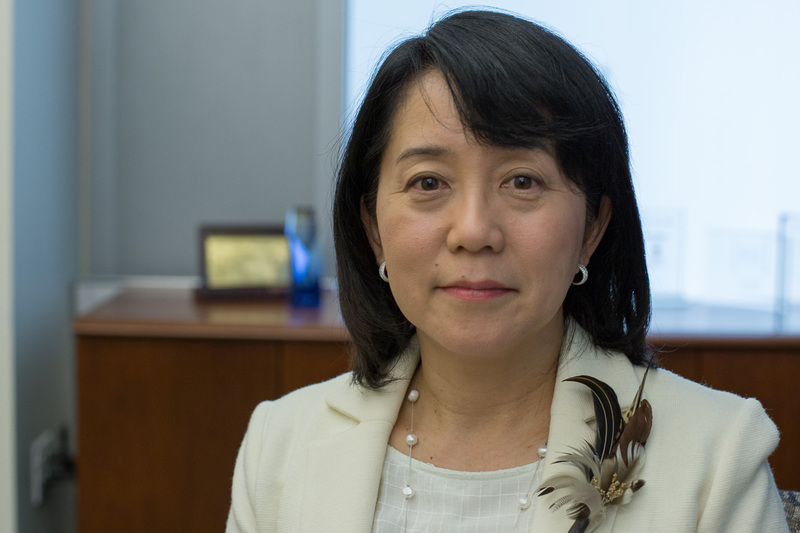 Because of the safety of her technology, and the unfulfilled needs of millions of patients with eye diseases, Dr. Takahashi made it her goal to take iPS cells into humans within five years of Dr. Yamanaka’s discovery. It’s no surprise that Dr. Takahashi succeeded in her ambitious goal. Her cutting edge work has led to the first clinical trial using iPS cells in humans, specifically treating patients with macular degeneration. In September 2014, the first patient, a 70-year-old Japanese woman, received a transplant of her own iPS-derived RPE cells and no complications were reported. Currently, the trial is on hold “as part of a safety validation step and in consideration of anticipated regulatory changes to iPS cell research in Japan” according to a Gladstone Institute news release. 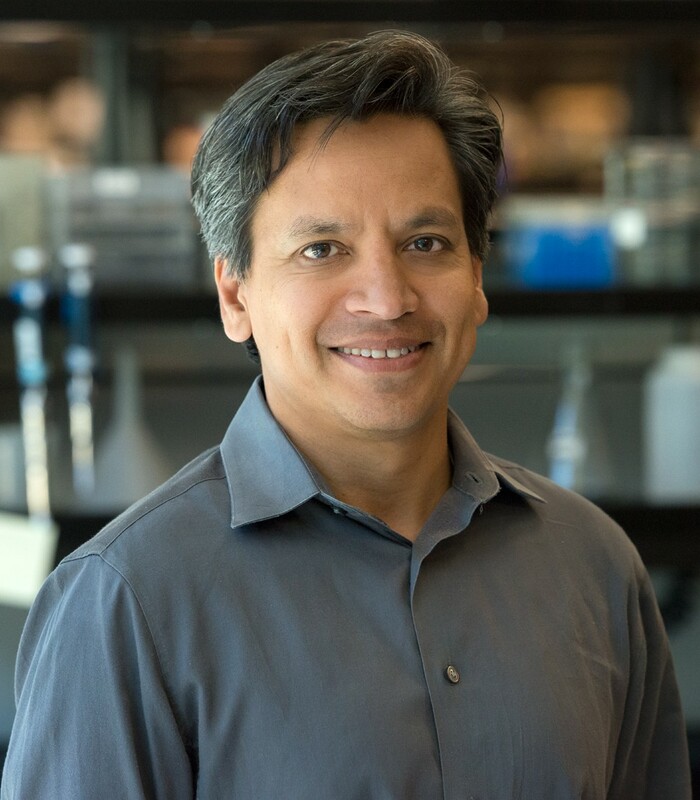 Nevertheless, this first iPS cell trial in humans has overcome significant regulatory hurdles, has set an important precedent for establishing the safety of stem cell therapies, and has given scientists hope that iPS cell therapies can become a reality. Dr. Deepak Srivastava presents Dr. Takahashi with the Ogawa-Yamanaka Prize. For her accomplishments, Dr. Takahashi was recently awarded the first ever Ogawa-Yamanaka Stem Cell Prize and honored at a special event held at the Gladstone Institutes in San Francisco yesterday. This prize was established by a generous gift from Mr. Hiro Ogawa in collaboration with Dr. Shinya Yamanaka and Dr. Deepak Srivastava at the Gladstone Institutes. The award recognizes scientists who conduct translational iPS cell research that will eventually be applied to patients in the clinic. The Ogawa-Yamanaka prize prize is meant to incentivize and honor those whose work is advancing the translational use of stem cells for regenerative medicine. Dr. Masayo Takahashi is a pioneer in pushing the technology of iPS cell-derived cell types and actually introducing them into people. She’s the very first person in the world to successfully overcome all the regulatory barriers and the scientific barriers to introduce this new type of stem cell into a patient. And she’s done so for a condition of blindness called macular degeneration, which affects millions of people world wide, and for which there are very few treatments currently. We are honoring her with this prize for her pioneering efforts at making this technology one that can be applied to patients. As part of the ceremony, Dr. Takahashi gave a scientific talk on the new world that iPS cells will bring for patients with diseases that lack cures, including those with visual impairments. The Stem Cellar team was lucky enough to interview Dr. Takahashi as well as attend her lecture during the Gladstone ceremony. We will cover both her talk and her interview with CIRM in an upcoming blog. The Stem Cellar team at CIRM was excited to attend this momentous occasion, and to know that CIRM-funding has supported many researchers in the field of iPS cell therapy and regenerative medicine. We would like to congratulate Dr. Takahashi on her impressive and impactful accomplishments in this area and look forward to seeing progress in iPS cell trial for macular degeneration.